What's the future for the Midwest in a post-mandate world? If there's an exception, it's Illinois, which is lagging its 25 percent RPS adopted a decade ago because of an unintended conflict with the state's retail choice law that restricted funding for renewable energy procurement. But that's changing quickly with adoption of the 2016 Future Energy Jobs Act, which revamped the RPS and specifically requires 4,300 megawatts of new solar and wind power. But the role of RPS policies as a driver of wind and solar energy is waning in certain regions of the country, including the Midwest, said Galen Barbose, a research scientist in the Electricity Markets and Policy Group at LBNL. "Clearly RPS policies are playing a minor and diminishing role," he said. With utilities in many Midwestern states already hitting clean energy targets or on course to easily do so, their success raises a new policy question: Should Midwestern states double down on RPS policies like some states on the coasts have already done? Is doing so political reality? Or are market forces, aided for now by federal tax incentives, enough to continue the momentum? Already, the idea of RPS 2.0 has already stirred debate in a couple of Midwestern states. Minnesota Gov. Mark Dayton (D) and a handful of legislators from both parties launched an effort to increase the state's renewable energy standard to 50 percent in 2030 from the current target requiring utilities to get 25 percent of their energy from renewable resources by 2025. The RPS push comes even as utilities, such as Minneapolis-based Xcel Energy, are cold to the idea, despite having announced voluntary initiatives to meet or exceed the proposed benchmark. Xcel, in fact, plans to get 60 percent of its energy from renewables in the Upper Midwest by 2030 as part of a broader plan to get 85 percent of its energy from sources that don't emit greenhouse gases. That includes 1,850 MW of new wind to come online in the next few years. Chris Clark, president of Xcel's Upper Midwest utility, said Minnesota's Next Generation Energy Act, adopted in 2007, aided the company's adoption of wind energy. But other forces are propelling it forward today. "The push that we got from the state was helpful," Clark said in an interview. "We think we took that push and really kept going, and have now moved to this place where the economics and what our customers want is really driving us forward. So we don't see the need for mandates." Clark said the wind rush could slow when the federal production tax credit expires, but Xcel is among the utilities that have plans for a post-PTC project and see costs continuing to drop. Great River Energy, the energy provider for more than two dozen distribution cooperatives in Minnesota, announced plans this month to get half of its electric generation from renewables by 2030. That surpasses the state's 25 percent RPS, which Great River achieved seven years early. Jon Brekke, vice president of power supply at Maple Grove, Minn.-based Great River, said the cooperative chose to add another 600 MW of wind based on economic modeling done to support plans filed with state regulators, not in anticipation of an expansion of Minnesota's RPS. "We will use the state's definition of renewable energy in meeting the goal," Brekke said in an interview. "But this action was done through our grass-roots-elected board of directors. ... This is about our member cooperatives, their energy needs and their goals for competitiveness, reliability and environmental performance, instead of being about a mandate." Matt Privratsky of Fresh Energy, a St. Paul-based advocacy group, said expanding Minnesota's RPS is part of a portfolio of clean energy policies and is no less a priority today just because some power suppliers are voluntarily exceeding their goals. "Statewide standards are about making sure all utilities are meeting that goal," he said. "I think it's even more critical to make sure other utility customers aren't left behind." And the success of Minnesota's RPS in spurring the state's energy transition, and the ease with which some power suppliers have achieved their targets, "makes a lot of folks wonder if we can aim higher." No Midwestern state — yet — has acted to adopt a 50 percent RPS like California, Oregon or New York. Further, the makeup of most state legislatures in the deep-red midsection of the United States raises some doubt as to the chance that will happen anytime soon. While there's plenty of GOP support for expanding access to wind and solar energy in the Midwest, mandates are another topic entirely. And legislators in Ohio, for instance, have continued to do away with RPS policies, or at least lower the standard already in place. That reality has led clean energy advocates in some states to take the matter straight to voters. In Michigan, Tom Steyer's NextGen America backed a campaign this spring to put before voters a proposal to raise the state's RPS to 30 percent by 2030. The effort followed a heated, expensive campaign in 2012, when voters soundly rejected Proposition 3, a proposed constitutional amendment that would have established a 25 percent renewable standard by 2025. Utilities pushed back against the Steyer-funded campaign, just as they had pushed back years earlier. But last month, organizers of the RPS campaign and Michigan's largest utilities, DTE Energy and Consumers Energy, agreed on a compromise — a commitment by the companies to a 50 percent clean energy standard, including at least 25 percent renewable energy, by 2030. 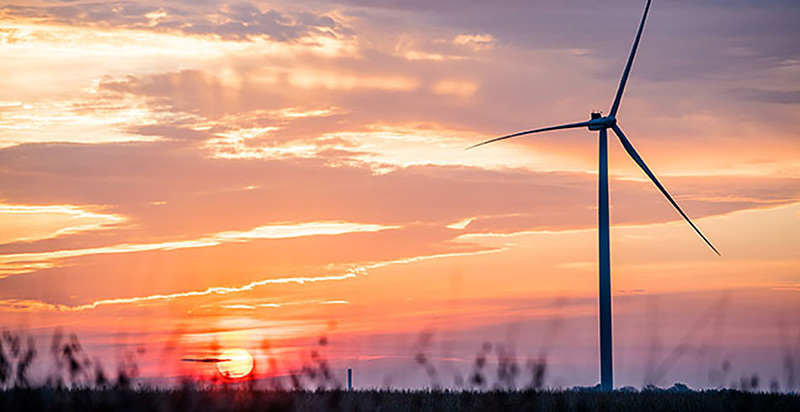 Weeks later, Jackson, Mich.-based Consumers Energy, with 1.8 million customers, announced plans to go well beyond the 25 percent renewable energy commitment and get 37 percent of its energy from renewables by 2030 and 43 percent by 2040 (Energywire, June 14). Detroit-based DTE will file its plan with the Michigan Public Service Commission next spring. In Missouri, too, clean energy advocates have discussed the potential for a ballot measure to expand the Show-Me State's existing RPS, which requires investor-owned utilities to get 15 percent of their energy from renewables by 2021. A group called Missouri Leads formed and had conversations with potential donors about the idea of a ballot initiative in 2018. Ultimately, the idea didn't gel in time to get required signatures to the secretary of state's office. "It didn't happen this year," said James Owen, executive director of Renew Missouri. "But is it something we're looking at in 2020? Absolutely." Even in states without renewable energy mandates, particularly in the Great Plains and Upper Midwest, utilities continue to add wind capacity — a common argument raised by the free-market advocates. There's no better example in the United States than Iowa. While the state boasts the nation's first RPS, a requirement for 105 MW of renewable energy adopted in 1983, the state hasn't bothered to update the law. Just last week, the Iowa Utilities Board certified that more than half of MidAmerican Energy Co.'s megawatt-hour sales last year were fueled by renewables. And Des Moines-based MidAmerican, owned by Warren Buffett's Berkshire Hathaway Inc., filed plans in May for yet another wind farm that would enable it to achieve its 100 percent renewable target when the project comes online in late 2020. Wind farms continue to sprout in another wind-belt state, Kansas, despite the Legislature's converting the state's renewable standard to a voluntary goal in 2015. Even the RPS rollback, a compromise between conservative groups and the wind industry, was largely symbolic because Kansas investor-owned utilities had already achieved the 20 percent mandate years ahead of time. And in Wisconsin, where the 10 percent RPS goal was achieved in 2013, two years ahead of the 2015 deadline, utilities continue to add wind and solar generation. If announced renewable energy projects are completed over the next three years as expected, including 550 MW of new solar capacity, and total electricity sales remain flat, 16.3 percent of Wisconsin's energy would come from renewable resources, according to Tyler Huebner, executive director of Renew Wisconsin. Renewable energy advocates are reluctant to say RPS laws are no longer beneficial. The mandates provide policy certainty to developers and utilities alike. But in some markets especially, the presence of a renewable mandate isn't the death knell for clean energy. "Renewable portfolio standards in Illinois, Michigan and Minnesota are successful policies that have helped drive wind and solar energy investments in those markets," said Howard Learner, executive director of the Chicago-based Environmental Law and Policy Center. "But wind power is taking off in several states without an RPS," such as Iowa, the Dakotas and Indiana, he said. Even in Ohio, where a legislative compromise has been proposed that would lower the state's 12.5 percent renewable standard in 2026 to 8.5 percent by 2022, some renewable energy developers are more focused on undoing wind turbine siting restrictions put in place in 2014. In some ways, Ohio has been the poster child for the debate over RPS policies, with some Republican legislators continuing a yearslong push to either roll back or freeze the state's 2008 renewable standard — an effort that triggered a veto from Republican Gov. John Kasich in 2016. Trish Demeter of the Ohio Environmental Council Action Fund said earlier this month before a hearing on the proposed bill that the ideological arguments around the RPS law obscure the reality of what's happening in the market. "Renewable energy is so mainstream now, and I think that gets lost in the debate," she said.